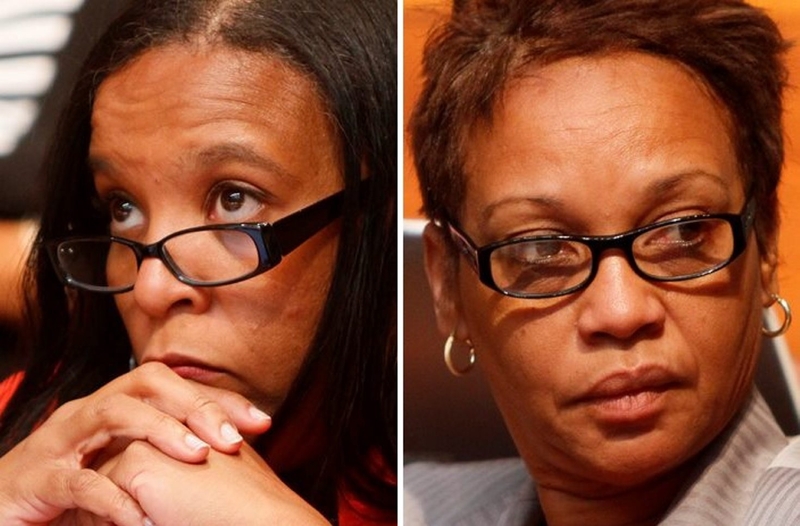 Yamilette Williams and Faith Alexander are no longer employed by the Buffalo School district. The two administrators who were hired without proper state credentials are no longer employed by the Buffalo school district, according to the terms of their employment contracts. But the district already has spent $13,000 in local grant money on Yamilette Williams and Faith Alexander for the college tuition to help them gain the appropriate credentials. Barring the chance two gain the certifications they need within the next few days, the Board of Education is expected to vote Wednesday to officially end their employment. Williams, the district’s chief of curriculum, assessment and instruction, only has a conditional certificate to serve as a school principal in New York State, according to the state Education Department. Alexander, one of the district’s chiefs of school leadership who provides direct oversight to schools, has the same conditional certificate. Both women, recruited and hired from out of state, have been employed by the district since last summer. Williams’ annual salary was $130,000, and Alexander’s was $135,000. Although Superintendent Pamela Brown has stated since late Thursday that both women were “on leave” from their positions, School Board members said they are actually no longer employed by the district. Board members said they were informed by outside education lawyer Karl Kristoff that the administrators’ employment contracts are “null and void” because they don’t have the required state certification to serve as district leaders. Despite this contract provision – and the district’s own job descriptions that plainly state that school district leader certification is required upon hiring – Williams and Alexander have overseen numerous education proposals, contracts and employee evaluations without having the technical authority to do so. Moreover, the district recently spent $12,997 in local leadership grant money to cover the tuition costs for Williams and Alexander to attend an accelerated superintendent development program through Greater Southern Tier BOCES. The district’s hope was for the two women to rapidly earn the additional leadership credits they need to gain certification. A spokesman with the state Education Department declined to indicate how close Williams and Alexander are to meeting those requirements. If both women are able to obtain their district leader certification soon, the board could vote to rehire them Wednesday or at a future board meeting. The superintendent could not unilaterally reinstate them, however. Board member Carl Paladino said Education Department officials have told him that both administrators still have a long way to go to meet their certification requirements. Several board members interviewed Friday complained that they have questioned the qualifications of the superintendent’s out-of-state leadership hires in the past and felt they were repeatedly misled by Brown and other administrators, who called them the “best-qualified candidates” for these positions. “If you don’t meet the minimum qualifications, you can’t be described as qualified,” Licata said. Board President Barbara Seals Nevergold said she had requested information about the administrators’ certification at the time they were hired and was led to believe they were both properly certified. Darren Brown, the district’s top human resources administrator, said earlier this week that district employees generally are responsible for handling their own certification requirements. But with Williams and Alexander coming from out of state to take these high-level positions, he said, his office would normally provide assistance. Due to short staffing and other human resources emergencies, he said, the certification requirements weren’t properly dealt with. He pointed out that both Williams and Alexander do possess district leadership certification in other states. Both have district leadership certification in Florida. Williams also has similar certification in Oklahoma. While other states provide full reciprocity for these certifications, New York often requires additional standards be met. Board member Jason McCarthy objected to the district providing any accommodations or assistance to help Williams and Alexander gain state certification. Paladino said he’s asked education lawyer Kristoff to investigate how the district could hire two uncertified district leaders for high-level executive cabinet positions. Williams and Alexander were hired when Deputy Superintendent Mary Guinn was spearheading the district’s central office reorganization last year. Williams, Alexander and Guinn are all also connected to the Arizona-based Evans Newton education firm, for which all three women once worked as consultants. In a statement released by the district Friday, Brown defended the hiring of Williams and Alexander. Brown did not respond to a request to comment. Although the superintendent was apparently informed earlier Thursday that Williams and Alexander could not continue working in the district without certification, district spokeswoman Elena Cala did not release a public statement from Brown regarding their employment status until close to 11:30 p.m. The district also declined to provide employee résumés or specific salary information for either administrator, although it is public information. That information was obtained separately by The News.